As a child growing up in the suburbs of Toronto, Canada, Burt Fealing always believed the corporate attorney was the “James Bond” of the business world. “These were the individuals who were often flown into a location, meeting in a secret room and structuring the transactions that were helping to shape and define the world,” he says. Even at 10 years old, Fealing knew this was the life for him. So when it was time to go to college, he decided to study economics and psychology at Williams College in Massachusetts, before ultimately graduating from Harvard Law School in 1995. After working for various corporate law firms in Boston, in 2000 Fealing accepted an internal position with Verizon Communications, eventually becoming assistant general counsel for its finance and securities department. While he enjoyed learning the legal ins and outs of telecommunications, Fealing wanted to experience the corporate environments of other industries. Over the next 10 years, he moved from helping to lead the legal department of SUPERVALU, a wholesale grocery chain in Minnesota, to the position of general counsel of ITT Inc., an industrial automation manufacturer in White Plains, New York. 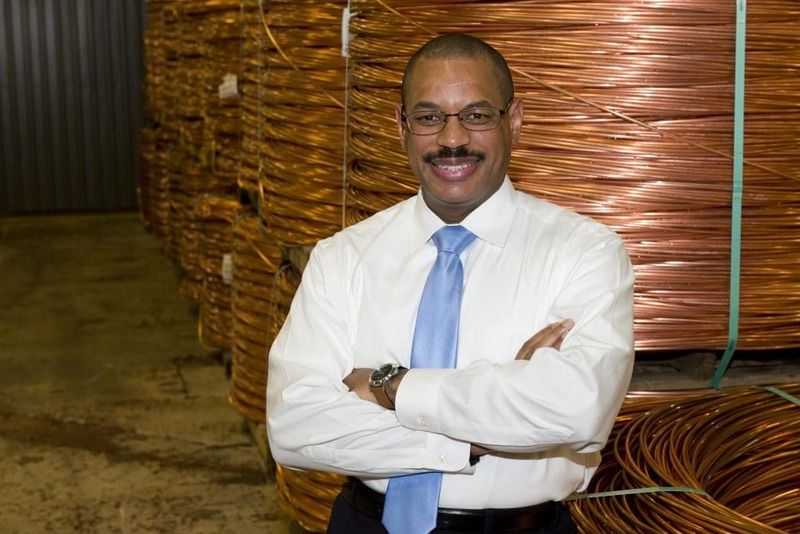 Today, Fealing has found his place in yet another industry, as executive vice president, general counsel and corporate secretary for Southwire Company LLC, the largest wire and cable manufacturer in the United States. Founded in 1950 by Roy Richards Sr., Southwire is an international company with plants across North America, Latin America, Europe and China. It even sells technology that enables other companies to manufacture half of all the cable used to transmit and distribute electricity across the world. From its headquarters in Carrollton, Georgia, Southwire’s engineers and designers create products that can be used in novel technologies, including solar or renewable energy systems. As the head of Southwire’s legal team, Fealing is guided by three leadership principles: a focus on technology and innovation, a global mindset and a commitment to continuous learning. Fealing says he supports innovation by overseeing the legal, regulatory and compliance aspects of the company. “That concept of innovation and technology is what keeps me excited because I’m working in an industry that is always renewing, always delivering more and is very focused on using cutting-edge technology,” Fealing says. He says another element of his leadership philosophy is encouraging members of his department to think globally, to get out of the office and travel to each of the company’s 32 worldwide manufacturing facilities. “Developing a better understanding of the business helps them to speak the same language as the business leaders and better analyze issues and potential solutions,” Fealing says. He has also found that people are more comfortable bringing up questions or concerns in person than over the phone or by email. “As a global minded general counsel, I am always getting on a plane to have face-to-face dialogue and help solve problems,” he says. Fealing’s commitment to “continuous learning” means working with Southwire’s partners to stay up to date on industry trends and innovation. From a professional standpoint, Fealing uses digital media, including podcasts, to stay abreast of cutting edge ideas and leadership principles. 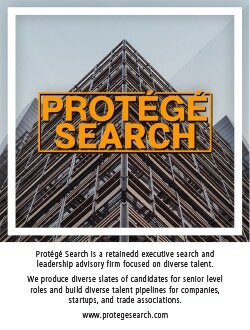 One of his favorite online shows is Protégé Podcast, a leadership and career success show hosted by his Harvard Law classmate, Rory Verrett. Fealing says his focus on technology and innovation, his global mindset and his commitment to continuous learning, have helped him provide valuable insight as Southwire’s general counsel. “It’s all about the trust the management, the CEO and shareholders have in our legal function. Our advice and counsel is based on a deep understanding of the business, the law, global industry trends, innovation and of our common goal of doing the right thing for all stakeholders,” he says. While Fealing enjoys contributing to an innovative company, it is not the only thing that drew him to Southwire. As he was interviewing for the role of general counsel in 2014, Fealing says he was struck by how much the company participates in the communities around its headquarters and all of its facilities around the world. “What’s truly unique about this family-owned business is that it has the ability to make long-term decisions. They don’t just think about the implications for next quarter, they are thinking from a multi-generational point of view,” he says. This has caused Southwire to develop a deep sense of responsibility for the environment, which is why 12 of the company’s 32 locations follow Zero Landfill programs, including the corporate headquarters. There have also been efforts to reduce water use in the company’s manufacturing facilities, as well as efforts to reduce electricity by installing LED lights whenever possible. It is also why, as part of the company’s Project GIFT initiative, Southwire donates more than 20,000 backpacks to students at the beginning of every school year and funds community beautification efforts. For the past 10 years, Southwire has partnered with the Carrol County School System in Georgia, as well as Florence City Schools in Alabama, to develop the 12 for Life® program, which motivates students to stay in school by providing employment opportunities at Southwire and additional classroom instruction. Fealing says this program not only teaches students real-world manufacturing skills, but also the importance of a good work ethic and dedication to a job. Since it began in 2007, more than 2,000 students have graduated from the program and Carroll County has seen a 20 percent increase in its high school graduation rate. “It’s an unusual company because it puts so much focus on the broader communities in which we work. We want to know how can we improve the lives of everyone there,” Fealing says.